Many people use turnstiles every day of their lives without giving much thought to them. They are commonly found in stadiums, concert arenas, amusement parks and subway stations. The purpose of these turnstiles is to allow entry into the building or subway when the person has paid. They can also keep track of the number of being entering. However, there are many other types of turnstiles which the average person does not come into contact with. These turnstiles are usually much bigger and used for security purposes. You might own or operate a facility that is in need of turnstiles. If so, you may not be aware of all the varieties that are available. Here are some of the many different types of turnstiles. 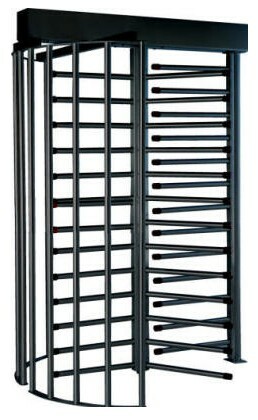 Security turnstiles are most often used in prisons. They have a large amount of metal bars which extend horizontally. These bars prevent a person from being able to have any contact with the person in front or behind them in the turnstile. The bars are located from the top to the bottom of the turnstile. They are made from extremely durable steel. Because of their thickness, there is no danger of a person being able to break the bars with their own strength. This turnstile can be found in prisons, government buildings and facilities where top secret projects are being conducted. A person will first go through the turnstile. They will then pass through the metal detector. Both part are connected together in one unit. This is a more affordable option than buying both separately. There are also biometric turnstiles. These can only be turned if the person gives their thumbprint or some other biometric data to confirm his or her identity. You can look at more information by going to http://turnstiles.us/CompactSystem.htm. As the name suggests, a tandem turnstile has two turnstiles next to each other. This is ideal for a building that wants people to enter and exit at one centralized location. This also eliminates the need to invest in two separate turnstiles. A common problem with turnstiles is when more than one person gets into a single section of a turnstile. This is called tailgating. This can allow more people into a building that are desired because the turnstile count will be inaccurate. An anti-tailgating turnstile will eliminate people from being able to tailgate.